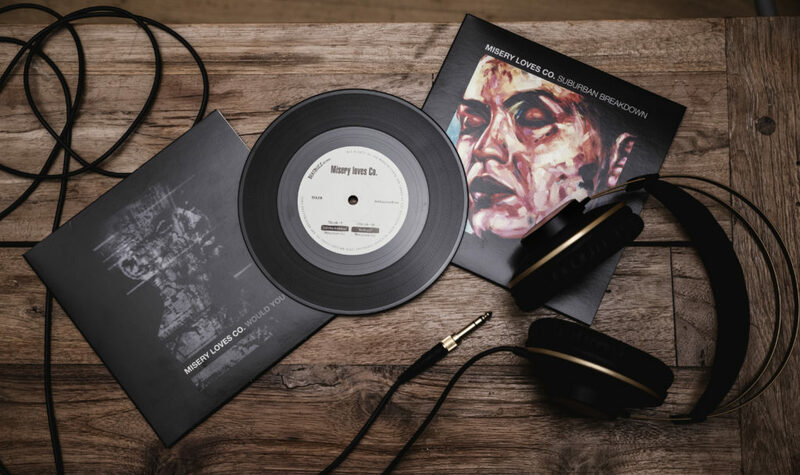 MISERY LOVES CO is now joining forces with the London based Beatbuzz Records to release a limited 7” vinyl edition of their two come-back singles “Suburban Breakdown” and “Would You?” as a double A side limited to 500 copies, out on March 8th and available for pre-order now. This marks the first physical release for the band in almost 2 decades and it also comes out at a special time for Misery, who are now locked in the studio recording their new album. Beatbuzz Records caught up with the band at Nel Nome del Rock Festival in Palestrina, just outside Rome in Italy in 2017 where the band was booked to play on the same stage where they last played in 1998. Soon after the festival it was set in stone that Beatbuzz Records was going to release their comeback singles “Would You?” and “Suburban Breakdown” on vinyl. 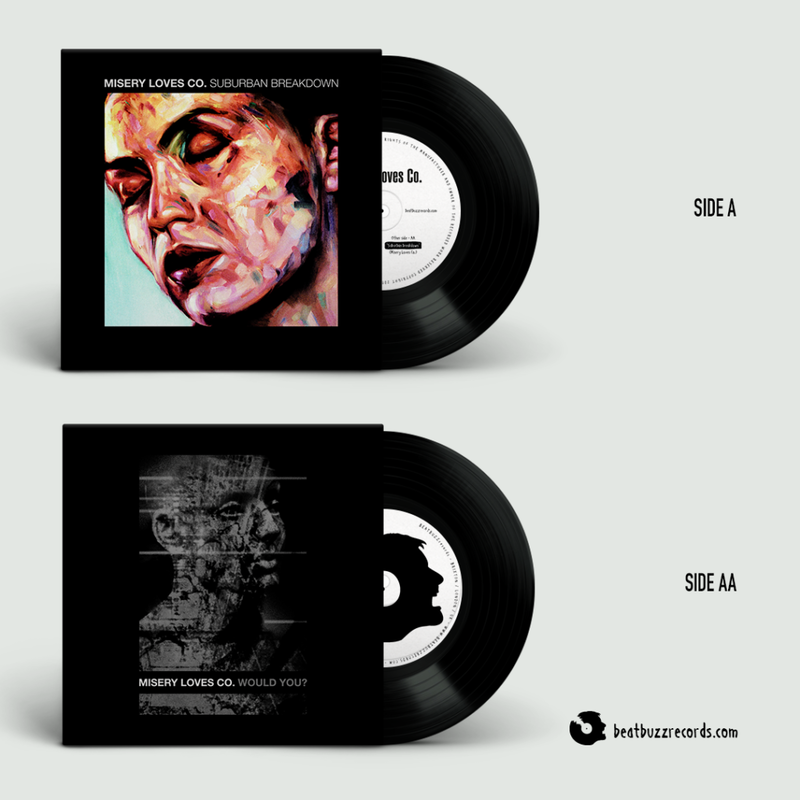 This release also marks Beatbuzz Records first physical release. The label strongly believes in this release as it comes at a great time for the band with their loyal fan base excited to hear more new music from them and an ever growing following getting into their old stuff and excited for more new songs. ”Would You?” was also mixed in Gothenburg by Roberto Laghi with Jesper Skarin on drums and the cover design was made by Jerker Josefsson.